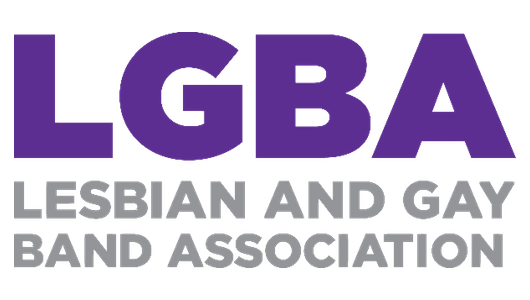 The Tampa Bay Pride Band is an all-inclusive LGBT and Straight Wind Ensemble and Marching band supporting the LGBT community in the Bay area.. TBPD Tampa Bay Symphonic Winds rehearse weekly on a Mondays from 7pm-9pm all year round. Our reheasal venue is Middleton High School. New instrumentalist are welcome to start at any time. We are a non-auditions wind band. We encourage instrumentalist of all ranges to join our band. Our aim is to play an array of musical genres. The emphasis is on playing music in a fun and welcoming environment. Reviewing and agreeing to the current handbook is required for participation in the Tampa Bay Pride Band and Symphonic Wind Ensembles. Attendance at rehearsals and performances is of paramount importance for a quality ensemble. We also understand that things do come up and create conflicts so we would like everyone to take responsibility to make us aware of conflicts as soon as possible so we can plan accordingly for the group. Uniforms for concert performances will be concert black unless advised otherwise and the responsibility of the performer. Tampa Bay Symphony Winds rehearsal is based off the long standing orchestral tradition of rehearsals and concert etiquette. All performers should come prepared to rehearsal with all material for a successful rehearsal. Each member shall be responsible for preparing their music based off the notes and markings from the previous rehearsal. In the event that you can not complete a concert after committing to a performance, we ask that you be responsible for finding a suitable replacement prior to the concert. If some reason a conflict or emergency were to come up, please notify your section leader immediately. You must be 18 or older to participate in the Tampa Bay Pride Band and Symphonic Winds. If you're under the age of 18, you will require a signed minor aggrement form by your parent or legal guardian. I have received, read, understand, accept, and agree with the rules, responsibilities, and requirements set forth in the Tampa Bay Pride Band/Tampa Bay Symphonic Wind member handbook. I, the undersigned, and my personal representatives, assigns, successors, heirs, and executors, do hereby release, waive, hold harmless and forever discharge the Tampa Bay Pride Band, its members, officials, officers, employees, agents, affiliates, and volunteers, for any claims, demands, causes of action, judgments (including costs and expenses) and any and all liability arising directly or indirectly from damages, bodily injury or death that I might sustain as a result of my participation in or otherwise arising out of any Tampa Bay Pride Band and Tampa Bay Symphonic Winds Event. I the undersigned, and my personal representatives, assigns, successors, heirs, and executors, shall indemnify and save harmless the Tampa Bay Pride Band and Tampa Bay Symphonic Winds, its members, officials, officers, employees, agents, affiliates, and volunteers from any and all claims, demands, suits, actions, judgments, and executions for damages of all kinds, losses, costs or expenses of every nature whatsoever caused by the negligent acts or omissions of myself at the Event, or caused by any negligent act or omission of myself. The undersigned further hereby assumes full responsibility for any and all risk of bodily injury, death or property damage while participating in the Event. The undersigned further expressly agrees that this document is intended to be as broad and inclusive as is permitted by Florida law and that if any portion hereof is held invalid, it is agreed that the balance shall; notwithstanding, continue in full legal force and effect. The undersigned has read and fully understands this Release, Waiver of Liability and Indemnification and voluntarily agrees to its terms. Further, all terms of this agreement are contained herein and there are no other terms to this agreement. Checking this box is acknowledging and agreeing to the waiver of liability and indemnity clauses as set forth in this form. Many grant applications require statistical information about ethnicity and gender. It would be very helpful if you answered the questions below. This is completely voluntary though and has no bearing on your participation in the band. If you do not wish to disclose such information, please check the option, "Prefer Not to Answer" and/or leave the gender identification blank. For each concert, check the boxes next to the dates of availability for that rehearsal and concert schedule. 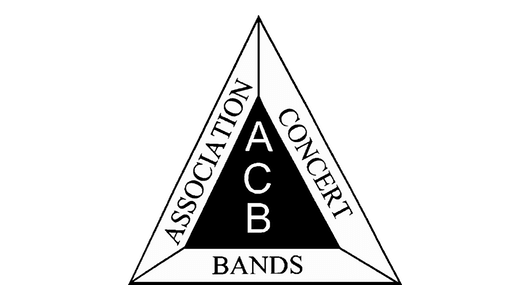 Checking the box indicates the commitment and the responsibility as a performer which is detailed in the band handbook. If you will be missing a rehearsal or concert please give the reason below. A membership fee of $30.00 in the fall and additional $30 in the spring is collected from every band member participating in the Tampa Bay Pride Band and Tampa Bay Symphonic Winds by the Treasurer. This fee entitles the band member to check out music for concerts and/or parades. Fees also cover rental space and other operational expenses. Band members are entitled to a receipt of this transaction upon request. Membership fees are due on or before the 3rd rehearsal. Students' membership fee is $15 in the fall and $15 in the spring. Under certain hardship conditions, the membership fee can be waived if approved by the Board President. In addition, all members are required to have the current season band shirt which is $15. Please selct the appropriate membership fee below to show you understand the membership fee requirement. Non Student - I will pay $60 now for the fall and the spring semester. Student - I am a student and will pay $30 now for the fall and the spring semester.